Hello StellaBella Readers! I have had to take some time off from telling my many stories and projects, to concentrate on some bigger obstacles I am hurdling at the moment. In the meantime, I want the people closest to me to have a voice through StellaBella – and with Father’s Day on the horizon, it's the perfect time of year for this girly blog to celebrate the men in our lives, and embrace their manly hobbies and habits! My main squeeze, Big Ronnie, is a huge cigar aficionado. He enjoys the aroma, flavor, and the great conversation that usually arises over a good smoke. I have always appreciated a man with passion (whatever it may be), and to hear him talk at great length about one of his favorite subjects, is really a huge turn-on. He has been contributing to StellaBella in the background, and my biggest supporter since day one - so I thought this would be a great way for him to give a little of himself to the StellaBella world! While I have taken every measure to ensure that my morals were being upheld with this post, I must also confess that my beliefs have been softened. Cigarettes have always been pure disgusting evil in my opinion, and when I see someone smoking a cancer stick – it makes me sick to my stomach. All of those deadly chemicals being voluntarily sucked into your system, with what benefit or enjoyment? Although I have always had a negative perception from the domestic big tobacco/cigarette companies that kill Americans every day, I never understood the difference or cared about the cigar smoker’s side – which is very different indeed. Then I fell madly in love with one. Ronnie taught me about a sophisticated side to tobacco; without additives, addictive chemicals or inhaling. A more mature approach to a product that this country has over produced, and over manufactured to death - literally. Well, we all accept our partner’s habits; good and bad, so out of all the vices this wonderful man could have – I didn’t think this was a deal breaker. Today, Big Ronnie has convinced me that this Gentleman’s indulgent is not just enjoyment, but good for his business relationships and worldwide camaraderie. I have met so many other “cigar guys” in the few short years with Ronnie, and every single one has the same gentlemanly demeanor, with a big heart and passion for their favorite past time. So without further adieu - I hand it over to the one & only, Big Ronnie! Anyone that knows me, knows I love cigars. I could (and do) talk at length about the amazing camaraderie and generosity of the cigar industry. I say it often, I've never met a jerk who was a cigar guy. This week, I made a purchase that I know our StellaBella readers have little exposure to, and thought that I would turn it into a step-by-step post for those who have cigar-loving men in their life, or our female readers who never knew what to ask about cigars. The first thing I am often asked by new or novice cigar enthusiasts in regards to humidors and cigar care is "How long do they last?" or, "What is the best way to keep them fresh?". How often do you enjoy a cigar? How many cigars do you anticipate storing at once? 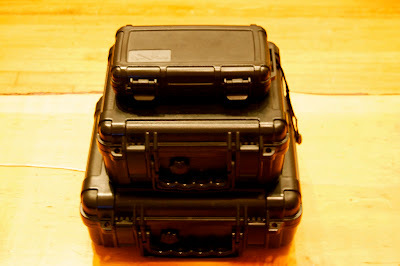 Do you plan on storing boxes? Do you plan on ordering cigars by mail? A cigar humidor is a product that can be bought easily, but in order to get the best out of the cigars you plan to keep in it, you really should cater the humidor to the intended use. If a person is looking for a humidor for home and plans to enjoy a cigar about once per week, a small (25-75 cigar capacity) humidor will be perfect. That person won't smoke frequently enough to need to keep a selection and supply on hand, so why by a humidor that is too large? Additionally, maintaining a humidor that is too large for your anticipated inventory is difficult and inconsistent. Another person might be looking for a humidor for his/her office and likes to light up several times per week, and they share. I would recommend a medium sized humidor with a capacity between 100 and 200. This way, you could store 10 cigars in 20 different varieties if you like. More than enough room for someone who occasionally buys or is gifted boxes, and can handle adding a dozen sticks at a time or more. If you do not currently own a humidor, that may be the best investment in your hobby. Humidors will last for decades if cared for. Small, quality desktop models with capacities starting at about 25 cigars could be had for as low as $50. Larger humidor capacities carry larger price tags. High end, premium humidors can cost $5K or more. Why are they made of wood? All quality wood humidors are made using a specific type of wood. Spanish Cedar is universally recognized as the best wood to store, maintain and age cigars. Spanish Cedar's natural properties have special significance to cigars; the wood retains a high amount of moisture, while releasing little to no aroma. Cigars absorb the aromas of their surroundings and can then impart that ingredient into the taste of the cigar. How long will cigars last if kept in a maintained humidor? Indefinitely. On a recent trip to Camp Camacho in Jamastran, Honduras (Central America), I had the opportunity to speak (through an interpreter) with Sandra Ochoa, General Manager for Camacho Cigars and one of the most knowledgable women I have ever met in the industry. Sandra stated that through using the traditional (2+ centuries old) tobacco process, the majority of impurities are removed from the tobacco leaf. Impurities are what cause a tobacco leaf to become stale and lose it's flavor/potency. Sandra stated that if a premium hand rolled cigar ever gets dry or becomes brittle, it can be revived to it's former glory by keeping it in a humidor until it's moisture & sponginess returns. Needless to say, it may take some time to revive a dry cigar, but it all starts with the right environment. What is the ideal environment to store cigars? Almost generally, the 70/70 rule applies for storing and aging premium hand rolled tobacco. 70 degrees Fahrenheit and 70% relative humidity are ideal for tobacco. There is of course some preference to this rule, you can adjust the RH% up to 5% either way, same as the temperature, vor varying results. Tobacco Aging? What are you talking about? Tobacco is a natural product that lives, breathes and ages. Cigars are loaded with natural sugars and oils that supply the cigar with flavor, strength, character and the foundation to improve with age. Freshly rolled cigars are not a delicacy, a 20yo cigar is. This is due to the marriage of ingredients that improve the taste and complexity of the smoke. An important item to understand about tobacco and tobacco care is that the leaf is naturally "hygroscopic" meaning it has the ability to readily draw in and release moisture from it's environment. This traditionally has made cigars difficult to maintain. OK, Big Ronnie, we get the broad strokes, but what do you rock? Boveda - 150 Cigar (Home)I also have the 10 and 15 cigar sizes from Cigar Caddy somewhere, but I can't find them. Ha. I use my portable humidors whenever I travel, the 18ct fits nicely in my preferred carry-on bag, and the 5 stick I roll with on the daily. It fits nicely in my briefcase. The 40ct big boy is reserved for car trips when you want to bring enough to share.Typically, only the cigar obsessed will go the portable route, but once you have one, you'll use it. You won't feel bad about leaving the 5ct in your golf bag or glove compartment knowing that it's humidified and your cigars inside are fine. I have had 3 desktop humidors since I began enjoying cigars. My first was a gift from a former business partner. I wound up over seasoning it, and it warped. Sad face. 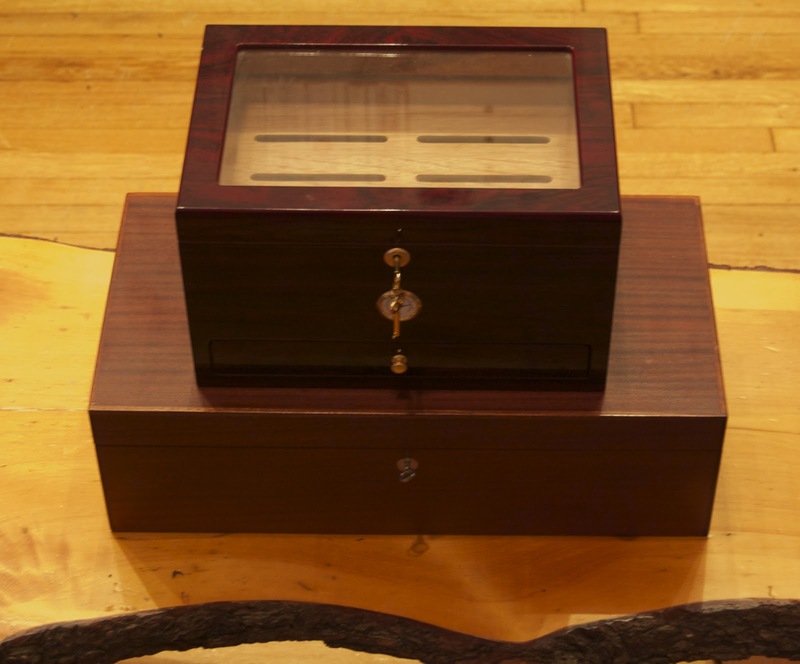 My 2 current humidors pictured below are a common glass-top humidor, and a premium desktop model made by Boveda. My 2 desktop humidors. A 100ct, Glass-Top, and my big Boveda Bad Boy, 150ct. Great, now I've a selected a humidor, but it's dry. How do you season it and get it to the correct relative humidity (RH%)? There are at least a dozen reputable ways to keep humidors properly humidified. I have tried many over the years and despite the proliferation of propylene glycol beads, I still believe the best way to "manage" this process is with the products made by Boveda. They are small, liquid-filled packs that you simply place inside your humidor. Produced in different RH% levels of 65%, 69%, 72%, 75% and 84% (for seasoning). These packs will last at least 4-5 months in a properly seasoned humidor. They cost about $4/each and you will need between 2 and 5 for your humidor, based on capacity. 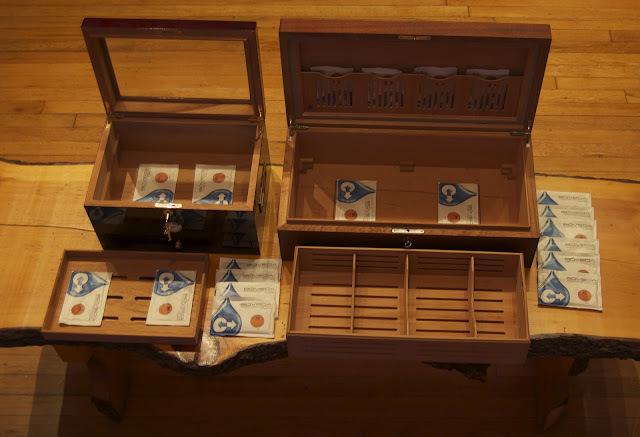 You start with 1 pack for the humidor and add an additional pack for every 50 cigars your humidor holds. (i.e. 100 cigar humidor would use 3 packs). These packs are dry on the outside, and can be placed directly on your cigars, saving valuable real estate inside your humidor. The goal of your humidor isn't only to keep your cigars fresh for smoking, but also to create an environment for aging, so you ensure that your investment in premium cigars gets even better with age. Again, there are many ways to season a humidor, but the method I prefer is also from Boveda. They make 85% RH seasoning packs specifically for preparing a humidor for cigars and humidification. The same metrics for humidification packs above apply here, except for seasoning, you need to leave the packs in your closed humidor for 2 weeks. Do not open it during this time. 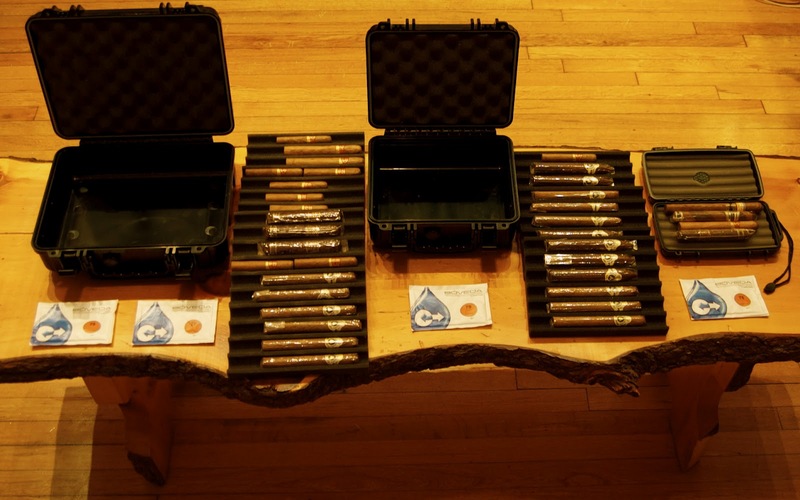 Once complete, load your favorite cigars and preferred RH humidification packs and you are all set. Now I know how to buy a nice humidor, and which seasoning/humidification packs to pick, but what about cigars? That is completely up to you. The premium hand rolled cigar industry is filled with dozens of manufacturers who have wide ranges of cigars appealing to all taste palates. I would say, wander into your local cigar shop and ask anyone in there what they like. Most cigar lovers, especially ones in shops can't wait to talk about cigars with anyone, especially women. You will be a rare commodity in a cigar shop, don't let that stop you, guaranteed you will get personal attention. Lame answer Ronnie, give me some recommendations! Fine fine fine, here are some of my favorite lines. I didn't include any Cubans. Sizes are up to you. OK, OK, OK, not bad (for a first article), but what's next? In the next edition of Big Ronnie's Cigar 101 we'll be talking accessories! Cutters & lighters & cedar spills oh my! With BBQ season right around the corner, there will be many cigar-appropriate occasions. I'll be covering how to prepare and we'll review some do's and don'ts. Please be sure to let me know if you have any specific questions. I'd be happy to help you pick something you or your man will like. Reach out at rparisella@gmail.com.